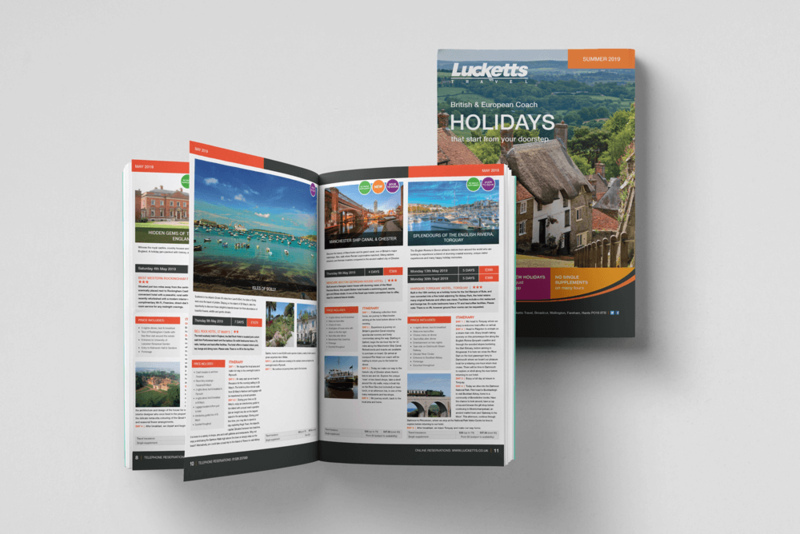 If you’d like a break from the Christmas chatter and dreary rainy days, we’ve oodles of glorious trips to promote in the Lucketts summer 2019 holiday brochure. Once again, we were delighted to have the opportunity to design the beautiful holiday brochures. We LOVE it when the brochure brief pops into our inbox as we know it’ll be a few weeks of delving into beautiful holidays. 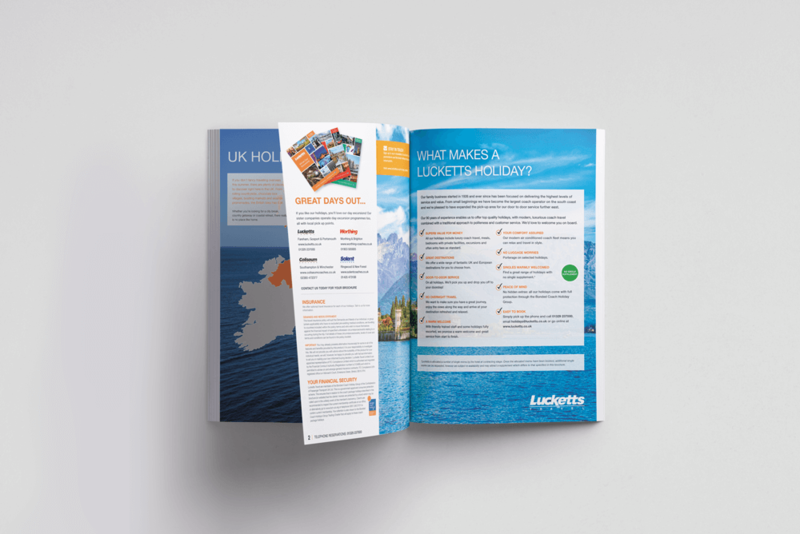 Working closely with team Lucketts, we map out, design, and artwork over 90 pages of stunning UK & European destinations and adventures. It’s the variety that we’re always amazed by. From city breaks & breath-taking tours around Britain’s gorgeous landscape to culture and fun experiences throughout Europe, the brochure is packed with holiday choices. For us, we’re torn between the Romantic Journeys of Scotland, including the Kyle of Lochalsh line, one of the world’s great railway routes and Spectacular Northern Lake Garda, to explore the medieval lakeside towns, the majestic Dolomites and the romantic city of Verona! Whether it’s in the UK or Europe, the rich and large destination list is mouth-wateringly tempting. Lucketts has a strong heritage and is a family business which started in 1926. From small beginnings it has become the largest coach operator on the south coast and offers top holidays, with modern, luxurious coach travel; all delivered with a traditional approach to politeness and customer service. 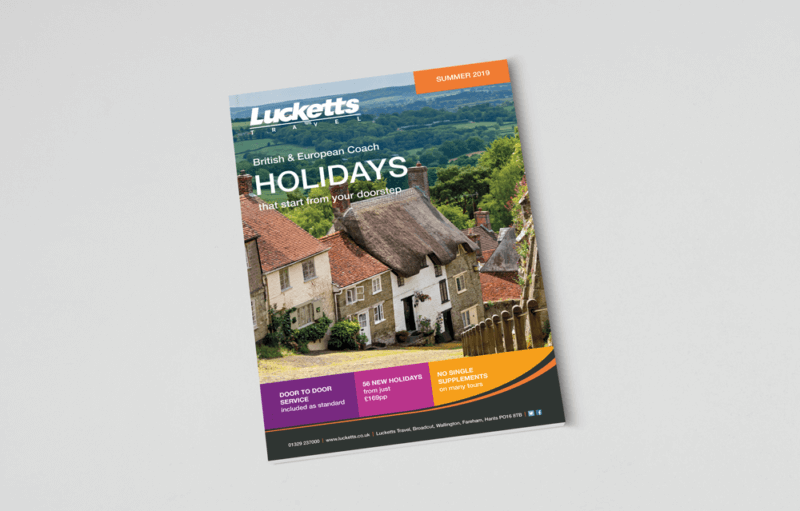 In addition to the vast holidays on offer, Lucketts provides luxury coach hire for businesses, schools and social groups. You can hire a vehicle from their fleet of over 160 modern coaches, buses and people carriers on a day rate or contract basis. They look forward to welcoming you on board!